To celebrate its $1 $2 $3 Dollar Menu, which has more variety and offers more of the delicious options for the whole family at the value consumers expect from McDonald's, the brand has teamed up with one of the most iconic characters in Latin American television, "El Chapulín Colorado." 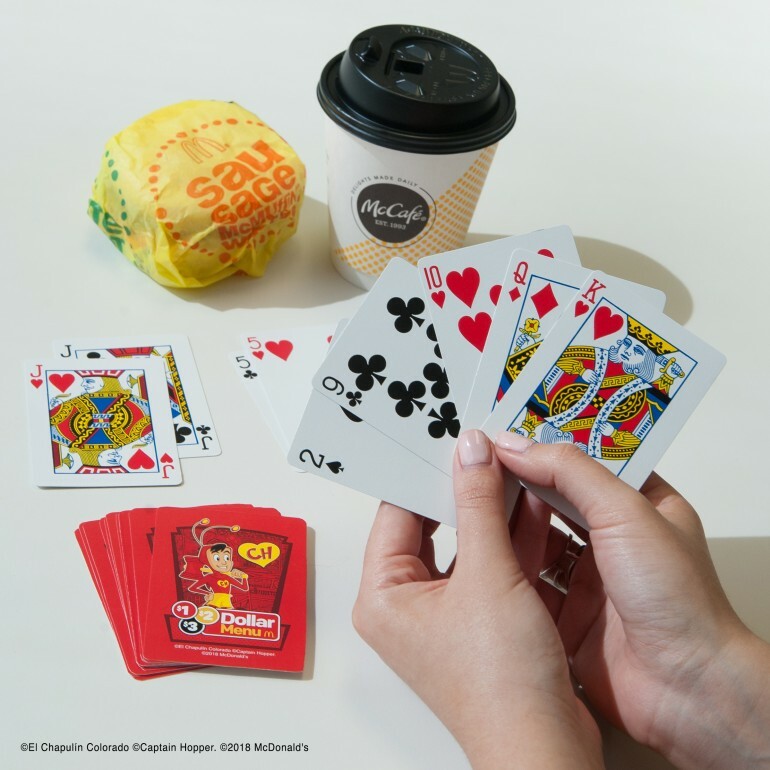 As part of this celebration, McDonald’s has created a limited quantity of exclusive games of El Chapulín Colorado and McDonald's, including a traditional lotería game and a deck of playing cards, which feature traditional El Chapulín Colorado icons like the "Chipote Chillón" and the "Chicharra Paralizadora." They were created in partnership with Grupo Chespirito and Univision to ensure the integrity and quality is kept according to the global standards of the El Chapulín Colorado brand. Latin Times spoke with with Roberto Gómez Fernández, the son of late comedian and actor Roberto Gómez Bolaños, well-known for creating and starring in "El Chapulín Colorado," about the limited-edition games, and how the character has become an icon in hispanic homes across the globe. 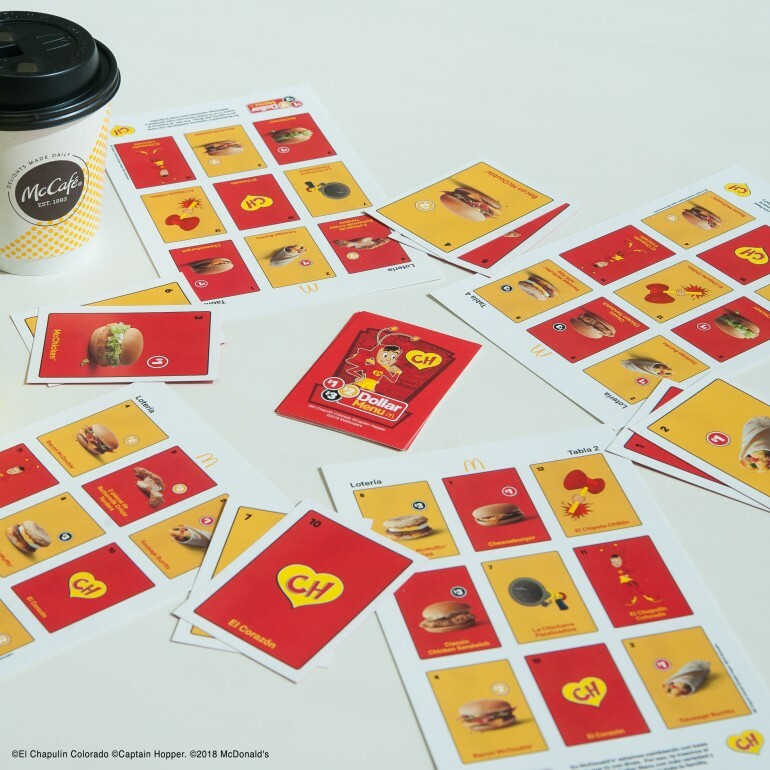 "Very happy to be part of this new adventure with McDonald's," said Gómez Fernández. "I believe that the philosophy of my father's legacy with the creation of his characters was to be able to reunite the family and McDonald's does the same." "This interest of McDonald's to bring to the Hispanic world something very characteristic of our culture, with the intention of uniting the family, seemed like a sensational idea to me. For us 'El Chapulín Colorado' is what it represents," says Roberto to Latin Times adding that “El Chapulín Colorado” was the first series that was exported from Latin America to the United States, long before "El Chavo" and the telenovelas. "For us it is a huge satisfaction and a great responsibility to maintain the legacy with the care that the author would have done," he says. "This world of entertainment, because really for my father there was no other reason than to entertain," says Gómez Fernández citing a reflection that Chespirito used to say, "Entertainment is a basic product like food, but always it should be consumed when it does not hurt." According to the also Mexican producer, screenwriter and filmmaker, his father also said that his creations weren’t for children, but for the whole family and fortunately he [Roberto Gómez Bolaños] understood the taste of the audience. The son of the most important Latin and Spanish-language humorist of all time also told Latin Times that he will relaunch the comic book of “El Chapulín Colorado,” plus he is preparing an animated film. "We are working on the comic book and the movie. It is a very big and very complex project because it is what we have always wanted to do," he says. "To have a film that can compete in any international market and with the big animation productions of the most important companies and that is why we have waited so many years, to be able to have the technology, the budget and the human quality that is required to do this." On Saturday, January 27 from 11 AM, Roberto Gómez Fernández will be at the McDonald's of 6815 Harrisburg Wood Boulevard, in Houston, TX, giving autographs and sharing with all Hispanic families during the official launch of the new limited quantity of exclusive games of "El Chapulín Colorado."